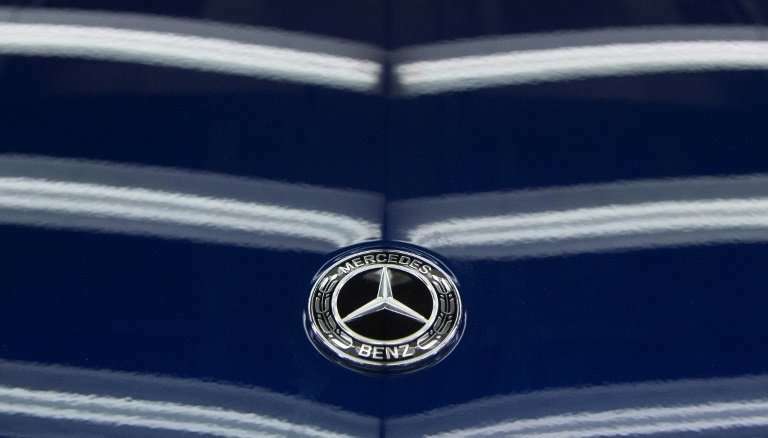 Germany ordered Monday the recall of some 774,000 vehicles from Mercedes-Benz maker Daimler across Europe, citing illegal "defeat devices" designed to conceal high levels of harmful emissions from regulators' tests. "The federal government will order an immediate official recall because of illegal defeat devices," Transport Minister Andreas Scheuer said in a statement. Daimler boss Dieter Zetsche was summoned Monday for crunch talks with Scheuer over emissions irregularities in the firm's vehicles. "Daimler says the applications in the motor control software the federal government has found fault with will be removed at the greatest possible speed and in cooperative transparency with the authorities," Scheuer said. A Daimler spokesman confirmed the recall to AFP, adding "legal questions will be cleared up in the appeal procedure" against the transport ministry decision. So-called defeat devices were at the heart of Volkswagen's "dieselgate" scandal, in which the world's largest carmaker admitted in September 2015 to installing them in 11 million vehicles worldwide. Vehicles kept to legal emissions limits for harmful substances like nitrogen oxides (NOx) during lab tests, only to exceed them as much as 40 times in on-road driving. The scandal has so far cost the world's largest carmaker over 25 billion euros ($29.5 billion) in fines, buybacks and compensation, and senior executives are under investigation over their suspected roles in the cheating. In the years since 2015, other German carmakers have also been forced to recall vehicles to fix manipulated software, although none has so far admitted to mass cheating as Volkswagen did. Recent weeks have seen Germany's KBA vehicle licensing authority hit Volkswagen subsidiaries Audi and Porsche with mass recall orders over their engine control software, as well as a smaller batch of cars from rival BMW. Prosecutors raided Munich-based BMW in March, saying their investigation was "only just getting started" after gathering evidence, and announced on Monday they suspect Audi chief executive Richard Stadler of fraud. "The whole European car industry is still stuck in this diesel quagmire, and everything that's been done so far has done nothing to set it free," auto industry expert Ferdinand Dudenhoeffer of the CAR research centre told AFP—pointing also to Italian and French automakers. The German government should approve hardware, rather than software alterations to manipulated vehicles to produce "an honest solution" to excessive emissions, Dudenhoeffer charged. Otherwise, "car firms will continue to stumble into the future and watch as their reputations are destroyed," he warned. "The pressure is rising, but it's of course up to the politicians" how much progress is made, Dudenhoeffer said. For their part, German firms have announced dozens of new electric and hybrid models for the coming years in a bid to bring down emissions of both greenhouse gas CO2—the original reason they turned to diesel—and of harmful NOx. But they continue to bet on the internal combustion engine and diesel into the future, with Daimler and component maker Bosch recently touting upgraded diesel technology they say solves the motors' exhaust issues.